The Richmond Region is joining with the Virginia tourism office to target the Washington, D.C. area with a month-long marketing push that will drive visitors to the region… The theme of the marketing blitz is Like! to LOVE Virginia. Throughout the month of April, people who “like” the Virginia is for Lovers Facebook page will have access to super saving, limited-time-offer travel deals through a special VADeals4DC tab. While the marketing emphasis is on attracting the DC area, anyone can take advantage of the deals. You should be able to access the offers directly on the Virginia is for Lovers website. The first Richmond-area deal will be posted tomorrow at 9am, and will be for the Jefferson Hotel. I’ll incorporate the Richmond ones into the Daily Deals post, plus any other Virginia ones that sound interesting! Other local offers will include Richmond International Raceway, Segway of Richmond and the Valentine Richmond History Center. Today’s deal is $55 for two behind-the-scenes “Seals Premium Experiences” at the Virginia Aquarium & Marine Science Center in Virginia Beach (save $55). Call 757-385-0300 to book. There’s a Picasso exhibit opening at the Virginia Museum of Fine Arts this weekend. You may have heard about it. I haven’t mentioned it before because exhibit admission is $20, but I’m sure it will be well worth it! Worth considering as well, VMFA members get in free – $50 for individual memberships, $75 for family. In conjunction with the exhibit, the local bus service 2BNB (To the Bottom and Back) will begin running a free museum bus route on Saturdays from 10am to 6pm February 19 to May 15. Two buses will run the 50 minute loop and circulate approximately every 30 minutes beginning at The VMFA, continuing along Cary Street to Shockoe Bottom, and returning along Broad Street. You can even track the buses’ GPS locations with a smart phone. This is probably of most interest to Picasso visitors as a convenient way to reach the museum while staying at a downtown hotel. I’m also thinking it could be a fun (free) Saturday activity for the preschool crowd! B&Bs and Inns are providing free rooms on Wednesday, November 10, in observance of Veterans Day, November 11, to honor servicemen and women currently serving or who have previously served their country Reservations need to be made directly with the participating Inns and B&Bs. A valid Military or VA ID will be required for each reservation. Each B&B is making at least one room available on the night of Wednesday, November 10 (only) to active and retired military personnel. Availability is limited, so Inns may not have a specific room listed for the promotion and once the available rooms are booked, the B&B may not be able to provide another free room. Busch Gardens has great limited-time offer on two-year, 2-park passes right now – Get admission to Busch Gardens and Water Country USA for the next two years for $139.95! Promotion code is 2YBigNews. (Regular price for the package is $219.95.) I figure it works out to $35 per park per year, which rocks. Passholders get free admission during regular operating season for two years from date of purchase, plus free parking and 50% off on Christmas Town tickets. If you’re looking for a fall family getaway, check out the 48-Hour Sale for Great Wolf Lodge Williamsburg, going on now through 10am Friday. Autumn rates start at $149.99 a night. New to Richmond Bargains? Welcome, and I hope you’ll take a moment to check out the About page with more information about the site and tips for lots of other ways to save money around Richmond! 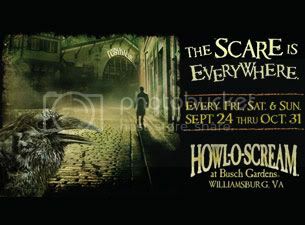 Busch Gardens Williamsburg’s Halloween event Howl-O-Scream begins this Friday, September 24th and runs Fridays, Saturdays, and Sundays through October 31. If you are a Virginia resident and want to go multiple times, get the Virginia Resident Fall Fun Card for $63.99, valid for unlimited admission September 11-October 31. For regular season (summer) savings, check out this post. 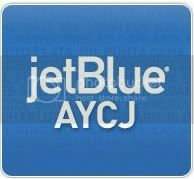 Back by popular demand, JetBlue is offering “All You Can Jet” (AYCJ) passes for unlimited flights between September 6 and October 7. There are a limited number of passes available, so buy now! Enjoy unlimited travel from September 7 to October 6, 2010 with our All You Can Jet Pass, now with two great options! Use your AYCJ Pass for business, for pleasure, to visit your favorite cities or to meet with a client. You might as well just do it all. With more than 60 cities to choose from, and for just $699* for the AYCJ-7 and $499* for the AYCJ-5, it’s a deal you can’t pass up. If you’re getting in on the deal, make sure to “like” the AYCJ Facebook page to keep up with the latest and connect with fellow travelers. Look for discount coupons, worth $8 or $10 off, at fast food restaurants and convenience stores around Richmond, Hampton Roads, and even Washington DC. Participating chains have included Wawa, Wendy’s, and Chick-fil-A. County Parks and Recreations Theme Park Tickets – Numerous Parks and Rec departments in the Richmond area sell discounted tickets. 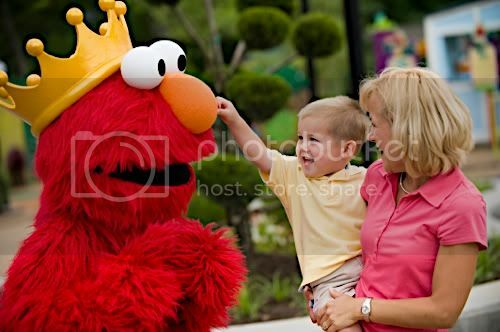 For instance, Henrico County offers Busch Gardens tickets for $46 ($36 for ages 3-9). Valid June 1 to September 6. Must purchase at the Parks Dept in the Human Services Building, and bring exact cash or a debit card. The City of Richmond also has them available, with all the details about prices and how to purchase here. Virginia Resident Fun Card – The Fun Card is your ticket to an exciting line-up of concerts and events all spring and summer. Pay for a day ($61.95) and get unlimited admission through September 6, 2010. The pass doesn’t cover parking fees, so it’s worth considering purchasing a regular one-year pass for one member of a group. Forest of Fun Preschool Pass – Virginia resident parents of children ages 3-5 can register their kids for a preschool pass which provides FREE admission all summer through September 6. 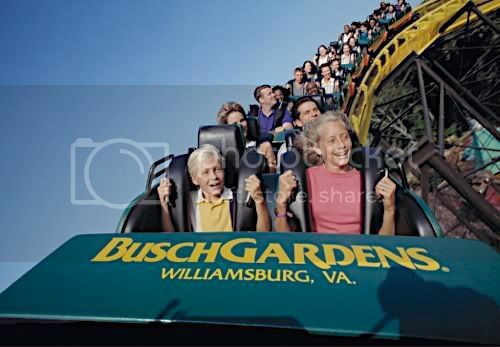 2 Park 2 Day Offer – Our flexible new 2 Day 2 Park ticket gives Virginia residents two full days to experience both Busch Gardens and Water Country USA, so you can go where you want, when you want any time between Now and October 31, 2010. For only $69.95, you get two days at two parks. And unlike the Fun Card (which expires on September 6), your 2 Day 2 Park ticket gets you into Howl-O-Scream if you want. It’s a great value, but it’s only available to Virginia residents, and it’s only available online. Free admission for members of the military – “We are proud to salute the men and women of our armed forces and their families. Throughout 2010, members of the military and as many as three direct dependents may enter SeaWorld, Busch Gardens or Sesame Place parks with a single-day complimentary admission.” Register online. From Memorial Day through Labor Day, active duty members of the military and their immediate families with ID can receive free admission to more than 600 museums nationwide, through a program called Blue Star Museums.